I am in a full-on love affair with highlighters that I don't see ending anytime soon. When I saw this palette pop up on Instagram, I wasn't sure if it would actually be something I would use but the more and more I saw it, the more I knew I had to have it! This is limited edition so if you don't want it, I wouldn't wait around. This is the Kat Von D Metal Crush Extreme Highlighter Palette, it retails for £32 exclusively at Debenhams in the UK. This launched towards the end of last year and I decided to treat myself to it just after Christmas and I have not stopped using it since. It's been my go-to highlighting palette and considering I own a massive drawer full of highlighters, I was actually shocked that I kept reaching for it. It's unlike anything I have ever used or have in my collection, I am hooked on it. 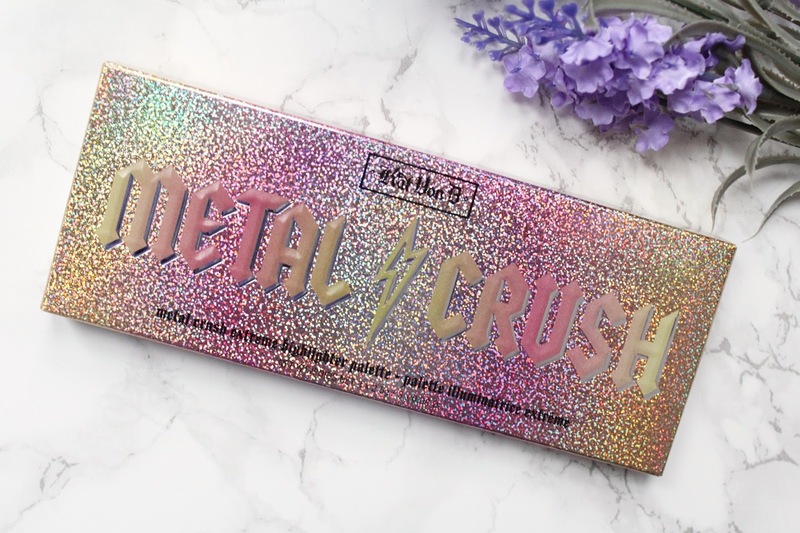 This palette was inspired by the bestselling Metal Crush Eyeshadow shade 'Thunderstruck' (of course I need that now too) and this palette is loaded with hyper-reflective micro-crystals that sparkle and shift with every movement. If you love a super glowy highlight, get ready to fall head over heels in love with this. This palette is vegan and cruelty-free. What makes these powders exceptional is how they look on the skin. 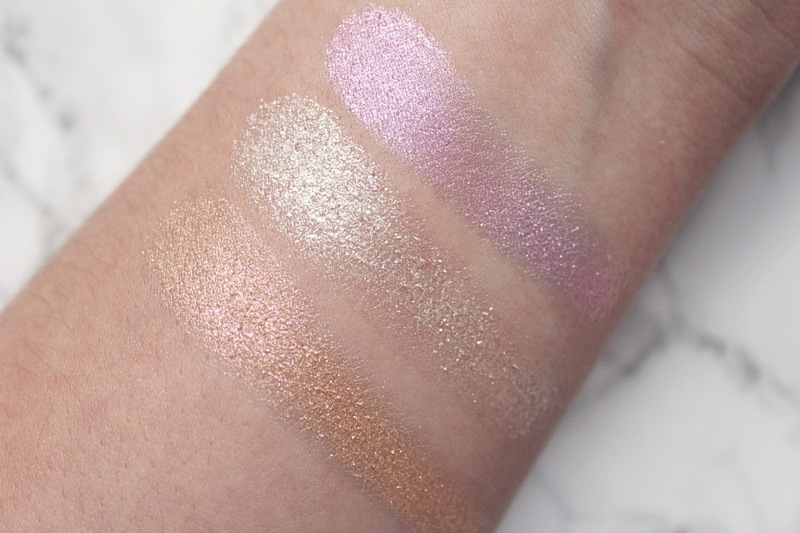 With any other highlighting powder I have used before, up close you can see the glow on the skin but it's completely different with these three. When you look at your skin up close after you have applied them it doesn't really look like you have much highlight on, it looks like you have a little glimmer on the cheekbones but as soon as I looked at my skin in the mirror or caught it in any reflections - I was wowed. They are so highly reflective from a small distance that it looks like you have almost a wet look to the cheekbones. They are buildable so you can make them incredible intense if you want too. I can't stop looking at them on the skin when I wear them! I didn't think I would find them to be that wearable but they are sheerer in colour than I had been expecting but once you applied them they pack a punch when it comes to the intense shine they provide. The colours shift in the light and whenever you move your head, reflecting so many gorgeous tones. I have applied them with a few different brushes and they work well with whatever I use! If you like a natural highlight with smoothing effects on the skin, this isn't the palette for you. But if like me you like a super bright and intense highlight, get this immediately. The tiniest amount of these powders transforms the skin into a highly reflective glow where ever you apply, I personally use them on the cheekbones but I want to try them on the eyes next. I imagine Helix to be stunning on the inner corners! They don't draw too much attention to my pores or texture issues in all honesty but they don't help it either, I don't mind this as I can use a pore filling primer underneath my makeup and not have issues. 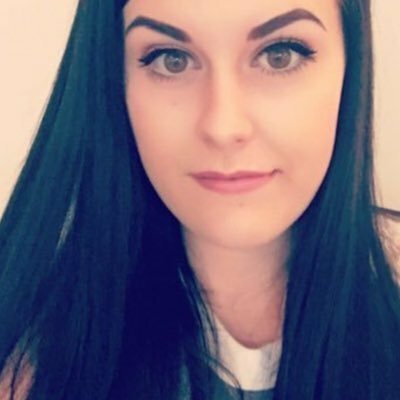 They are extremely long-lasting on the skin, I can apply these at 6 am and at 8 pm they haven't dulled their shine in the slightest. I love all three of the shades but I find myself using Helix the most lately as it looks gorgeous on my paler complexion. 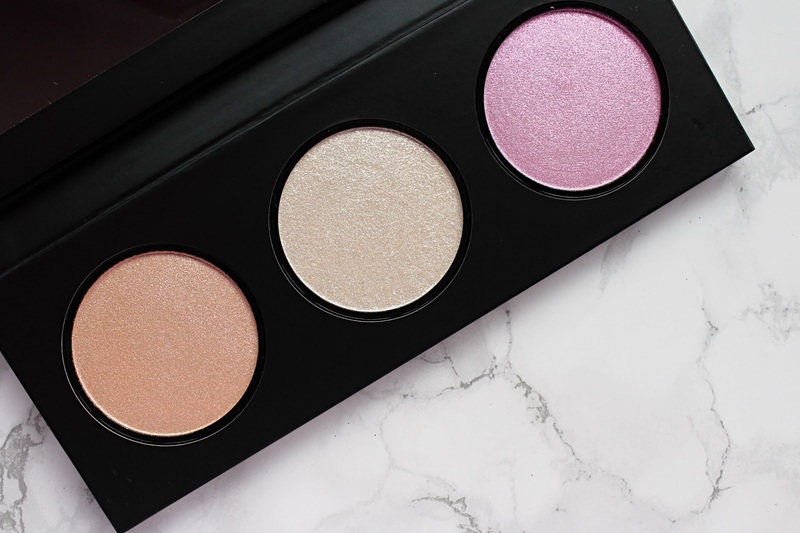 The Kat Von D Metal Crush Extreme Highlighting Palette retails for £32 at Debenhams - HERE.